Mel is the course director for the MSc Marketing programme. She teaches a range of subjects at undergraduate and postgraduate level including International Brand Management, Managing the Offer and Contemporary Marketing. She is a member of the University Student Experience Committee. Prior to LSBU, Mel worked in the computing and data-comms industry in product management and marketing management roles. 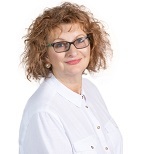 She helped launch the first public email systems available in the UK and has also undertaken consultancy work with both large firms and small organisations covering all aspects of marketing. Mel coordinates and delivers the International Summer Schools in London programme for Euro FH.